As a subcontractor, Fickett Structural Solutions (Fickett) was hired to perform Structural Steel inspection and testing services for the fabrication and installation of a 108,000-square-foot, 5-story office building for the online and retail apparel company headquarters of the Duluth Trading Company previously located in Belleville, WI. The fabrication shop inspections and testing of the structural steel was in accordance with AWS D1.1 and RCSC’s “Specification for Structural Joints Using ASTM A 325 or A 490 Bolts. The nondestructive testing (NDT) method used for this inspection was Ultrasonic testing (UT). The field (site) structural steel inspection and testing performed was in accordance with specification section 05 12 00 – 5 3.03 Field Quality Control. UT inspections were used for this aspect of inspection. 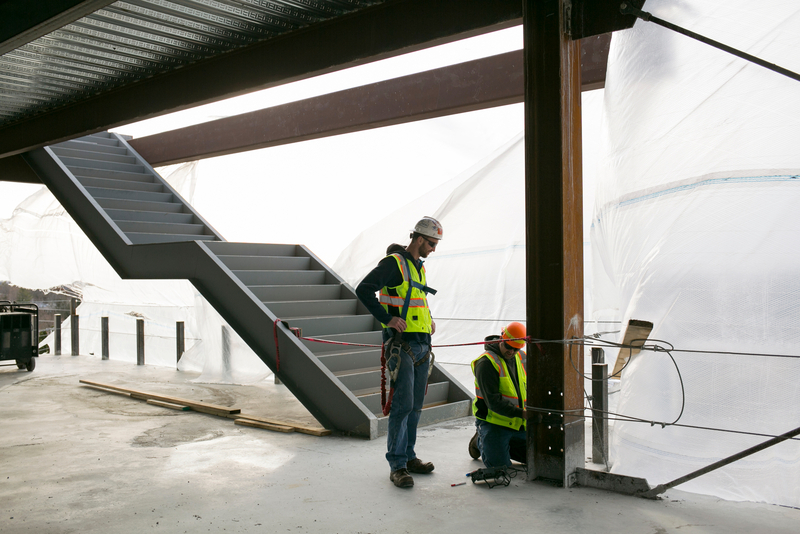 The field inspections and testing performed for the cold formed metal framing inspection in accordance with specification section 05 40 00 – 5 3.05 Field Quality Control and AWS D1.3. Visual testing (VT) was the inspection method used for these inspections.